Born in Newcastle Upon Tyne, England, Ian Smith has been entertaining since he was 16 years old in one form or another, starting out in folk clubs in Newcastle as a solo artist then progressing to 5 piece rock bands during that time. Leaving England in the mid seventies He lived in Canada before moving to the USA. His band The 88's were a favorite classic rock band in Ontario for many years, as well as playing the Bluewater Festival in it's early days. He toured Australia, Japan, Europe, Canada, and the USA with AC/DC as Personal Assistant to the band,and still remains friend with them today, especially his friend of 45 years Brian Johnson, AC/DC's lead singer, also from Newcastle. Ian decided in the early 2000's to slow things down a little and formed a duo, doing more easy listening style of music, which progressed into a Trio with one of the former members of The 88's, and continues to this day performing around St. Clair County with his Trio and Duo. The other two members are seasoned musicians playing guitar - J. McDowell, the Scotsman, and Curt Bulko the Michigander/Texan on piano Doing songs from Billy Joel, Elton John, Crosby Stills and Nash, The Beatles, The Commodores, The Eagles, Joe Cocker, Paul McCartney, Michael Buble, The Traveling Wilburys, Dobie Gray, Van Morrison, Ben E King,Jimmy Buffet, Stevie Wonder etc... to Frank Sinatra, Tom Jones and Niel Diamond......etc..
You can also catch him and his fellow musicians at Roadhouse 19, The Dorsey House, Lexington Village Pub, The River Crab, as well as many other events around St. Clair County. 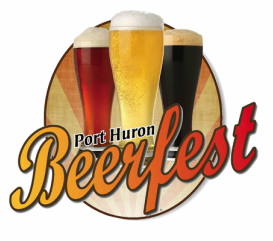 The Port Huron Beer Fest is excited to have Ian play for you the entire afternoon, providing great entertainment while you sample some of the best beers available!